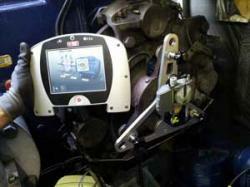 Quickly and safely align your wind turbine generators and shafts using the latest Laser alignment technology. The equipment is capable of aligning gearboxes to generators and to check for Yaw. F ixturlaser's revolutionary NXA Pro system along with specially designed brackets to suit each OEM's wind power generation design allow fine tuning of the alignment. Fixturlaser's shaft alignment instruments are custom made with firmware features that ensure high measurement accuracy and are supplied with precision mounting hardware to allow optimal alignment of the gearbox and generator shafts in wind turbines. 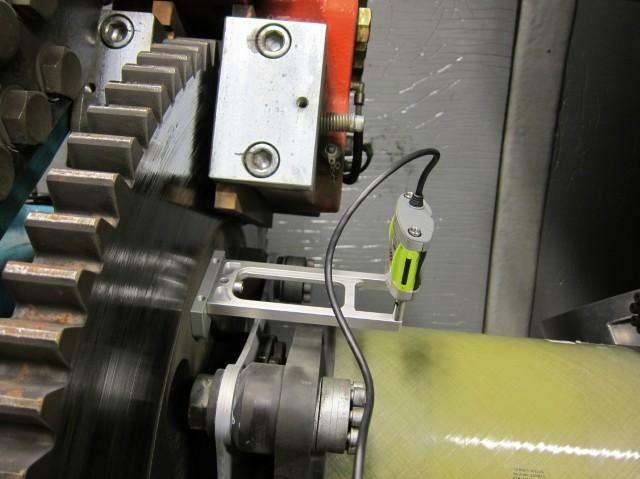 No matter the manufacturer, coupling or turbine type, Fixturlaser’s NXA Pro based shaft alignment instruments make generator-to-gearbox alignment (even inside a Nacelle) very easy. If you are serious about safeguarding the reliability of your wind turbine whilst optimising it's energy efficiency then this equipment stands head and shoulders above the rest. 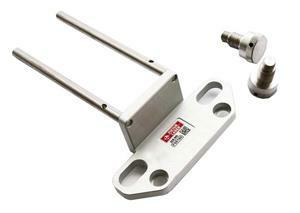 Several bespoke solutions for non-rotating shafts (common in wind generators). The Machine Defined Data function allows the user to create and store configuration templates for all kinds of manufacturing models. Data like distances, target values, and tolerances can be saved and pulled up anytime a similar model is aligned. This function is particularly useful for service organizations that maintain several wind turbine models. The Specific Machine Data function allows for preloading the shaft alignment instruments with predefined machine configuration templates, where data such as distances, target values, and tolerances can be saved. These templates are not editable and safeguard alignment configurations of various different manufacturer's models. 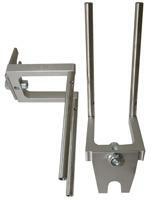 A wide range of fixture applications are available. 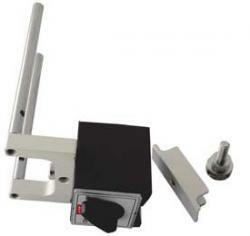 These fixtures are very robust and are easy to mount. These fixtures were originally designed for a specific manufacturer’s turbine but due to their flexibility they will suit most wind power turbines in the market place. Each model of wind turbine has a customised set of equipment which includes the specific fixtures, display unit and other items in cases that are customized for each fixture model, i.e. everything in one case. The special brackets allow the wind turbine coupling to be aligned without rotating the blades (a major safety benefit). 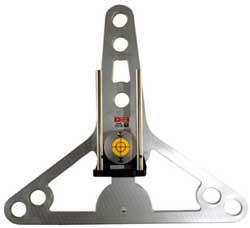 A Fixturlaser wind alignment fixture for use with fixed rotors without a coupling. 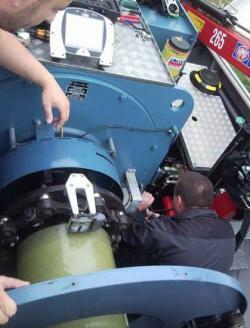 This is mounted on the gearbox flange and will fit on most Vestas turbines. 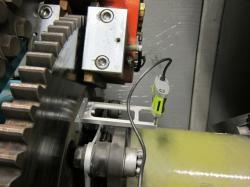 A Laser wind shaft alignment fixture for measuring shafts without a coupling. 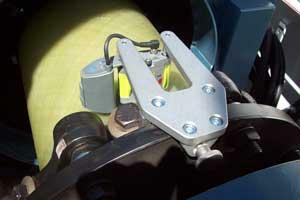 It is mounted on the generator flange and will fit on most Vestas turbines. 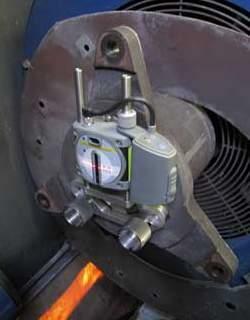 A wind generator alignment fixture mounted on a generator flange. This Laser alignment fixture will fit on most Siemens turbines. A wind turbine fixture which can be mounted on a brake disc with a magnetic base. 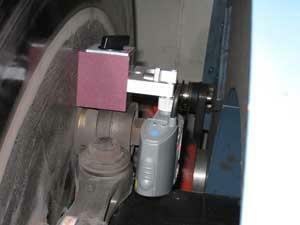 This is a flexible laser fixture that will fit on most Siemens turbines. A pair of Laser fixtures to allow mounting on a wind turbine coupling. This will suit most Vestas turbines. For a very flexible method of mounting a Laser fixture we have available a set of brackets with super strong (and very slim) magnets suitable for most GE turbines and other awkward mounting situations.